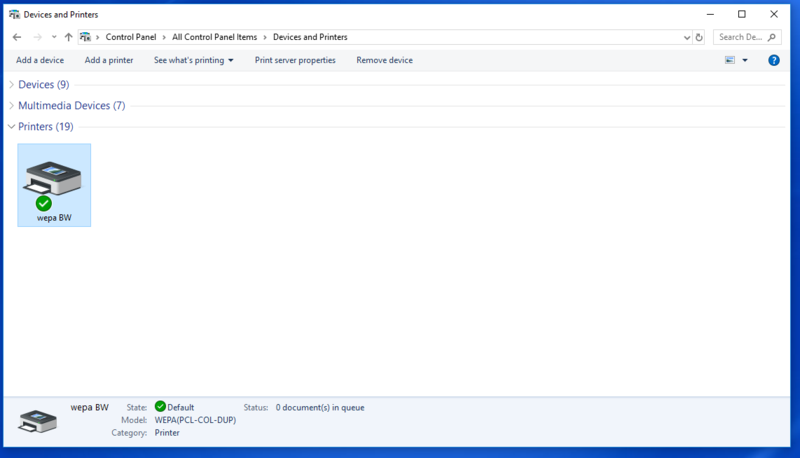 Some Windows 10 computers encounter an error when installing our Windows Print App driver. The issue is related to permissions and prevents the installation of the Wepa printer port. 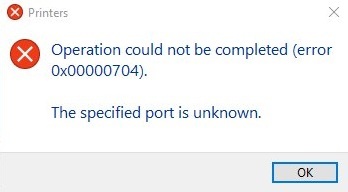 To resolve this issue, please install the Wepa printer port manually and then install the Wepa Print App for Windows. To verify that the Wepa port was installed, open the Control Panel and choose Devices and Printers. Select the Wepa printer. 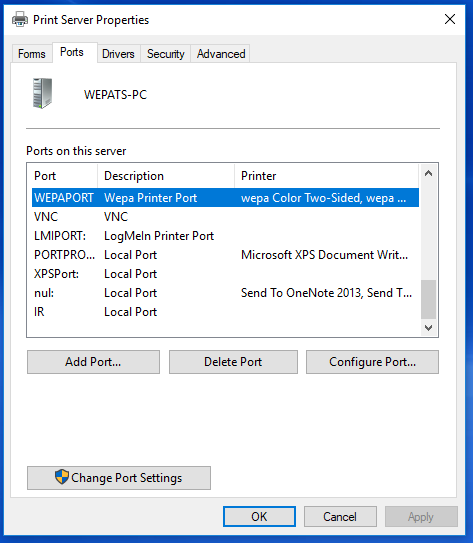 After confirming the presence of WEPAPORT, rerun the Wepa Print App for Windows installer. Click here for more information about the Wepa Print App for Windows. The printer is set to feed paper from both Tray 1 (top tray) and Tray 2 (bottom tray). Always fan the paper stack on all four sides prior to placing the paper in the tray. Do not leave space between the paper, guides and rear stopper. Do not overfill the paper tray. Do not load damaged or warped paper. Load only the 8.5” x 11” paper that is provided by wepa into the trays. Gently close the paper tray. Do not pull the paper tray out during printing. Ensure that BOTH trays are set to Letter size.